" Virgin ?". " Umm ?". " Virgin, sure ?". I mumble under breath, almost apologetically. They stare unbelievably at me , as if I had just landed from Mars or Venus may be. " It's a cocktail, just a small amount of liqueur added, no harm." , the bartenders try to assure me in vain. This has become my Signature conversation whenever I go for a restaurant review, a bloggers meet or a press conference. I stick to fresh juices or mocktails, confirming ten times that the drink is virgin. 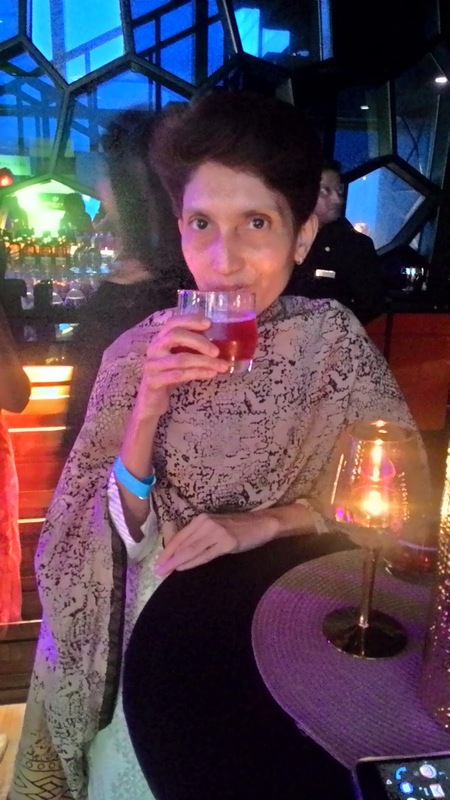 How I wished there's some fancy , non-alcoholic option to sodas / juices .... a perfect social drink , which I could request confidently. Few years ago , I had been to Goa for the first time with 3 friends. That was my first picnic without family. I was a bit, actually hell lot of nervous. Coincidentally it was a friend's birthday, so we decided to celebrate at the famous Goan restaurant Fisherman's Cove. We ordered juices, while the birthday girl ordered Mojito. She even educated us about the proper pronunciation of the Mojito ( Mouhito ). We three got our no frill juices soon and were waiting for Mojito. Oh...what a sight when The Mojito ... arrived dressed up / garnished with lime slices and fresh sprig of mint. We went click ... click ... some more CLICKs to do justice to its Designer glory. To cut a long story short, as soon as our friend took few sips , her lips curled downward, nose turned upward and eyebrows shoot to infinity. She burst ..." What the hell! This is YUCK , why it's so Bitter ?". So the waiter was called for. He confessed nonchalantly " But of course it's bitter. One of the ingredients is Rum. This is Goa. 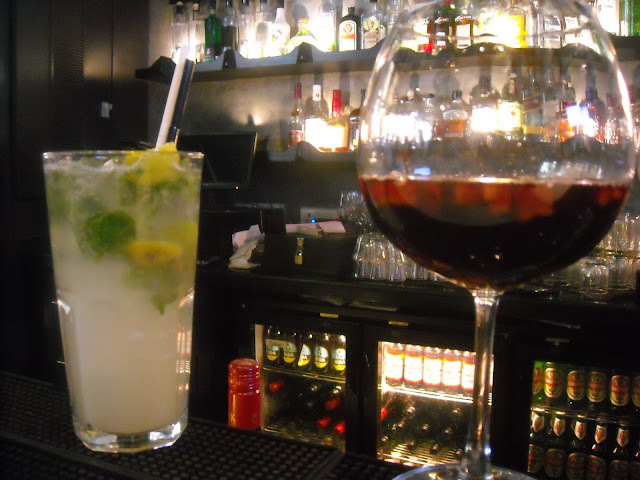 Unless and until you specifically ask for VIRGIN Mojito, we serve Cocktail Mojito". Birthday girl suffered terrible headache and upset stomach. Our party mood was totally trashed due to that COCKTAIL. Since then I make double sure, about the ingredients of my drinks. On this shaken & stirred background , you can very well imagine my joy , for the launch of a 100% organic, non-alcoholic, low on sugar , juice drink Caliente from Sweden. 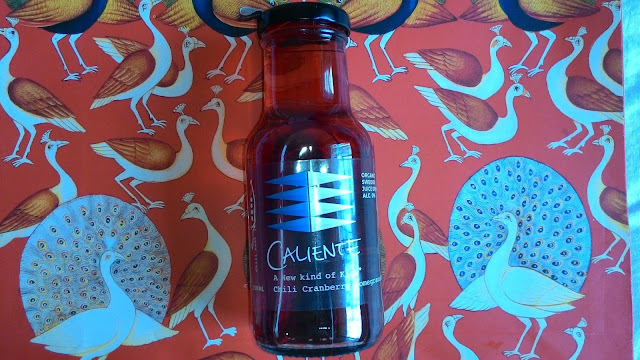 The potential greatness of Caliente is that it's first chili-infused, non-alcoholic drink giving a kick and a high. Caliente is already present in Denmark and Norway. There is a growing demand in the Indian market for premium non-alcoholic drinks targeting urban young adults. Everything about Caliente is uber cool and non-heard of in this part of the world. The functionality and taste of chilies in combination with the Swedish exoticness … naturally it would be successful in India. 1. Caliente has chili ( capasaicin ) , which releases endorphins in the body, makes you happy or creates feeling of happiness just like alcohol, but unlike alcohol does nothing but good to the body and for the first time something else than sugar drives a non alcoholic drink. 2. The flavors are mix of fruits and herbs. Not too sweet… fresh fruit flavor hits the taste buds first and the delicate herb flavor is the aftertaste, which perfectly pairs with the food made with similar herb. 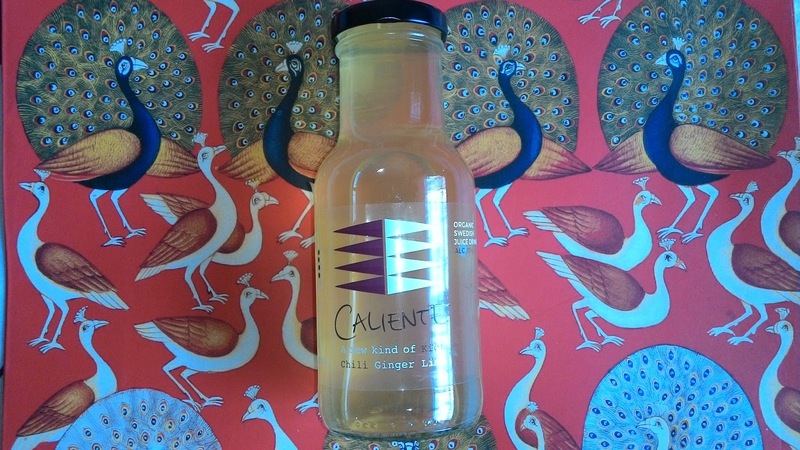 Caliente's lime ginger flavour pairs amazingly with Indian, Chinese, Japanese etc. 3. Want to go long in the night drinking, serve Caliente on rocks. Ice mellows down the chili , the fruit and the herb. You get exquisite subtle flavors on palette /tongue plus the "happy feeling". It relaxes you, enjoy it at a party, dinner, Spa, on the go, office, poolside, beach, whether 10 in the morning or 10 in the night. The drink is just all place friendly. Hi Vaidehi , What a PowerfULL choice. 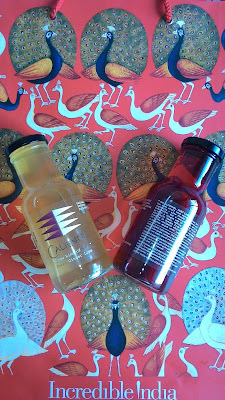 Yes, you will love Caliente's both flavors. Hi Tomichen. 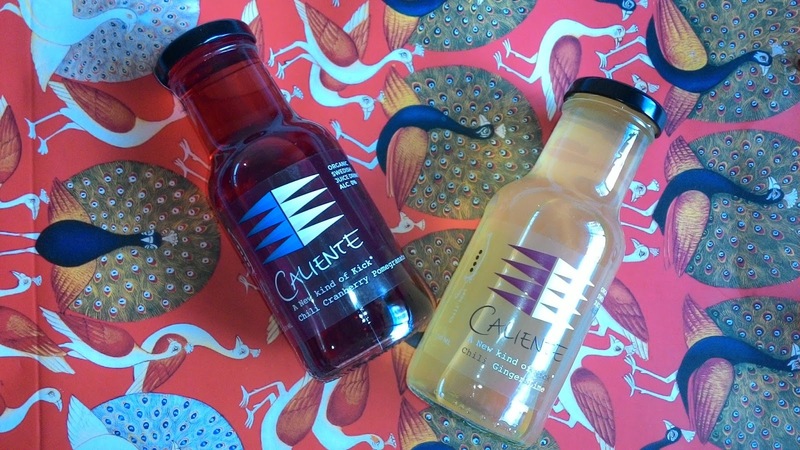 I liked both, the concept & taste of Caliente. Hope you too will like it. Thank you So much for a great post and lovely pics 😍 much appreciated! And do you know, soon our Plum Rosemary Chili flavor will hit Indian shelves too. You are most welcome to 'Spirit Of Mumbai'. Oh wow ! waiting eagerly for Plum Rosemary Chili Caliente. Thanks for providing this post about a new and non-alcoholic drink. Will seriously be a refreshment for teetotallers.